"The Colosseum . . the battleground of Bruce Lee and Chuck Norris." 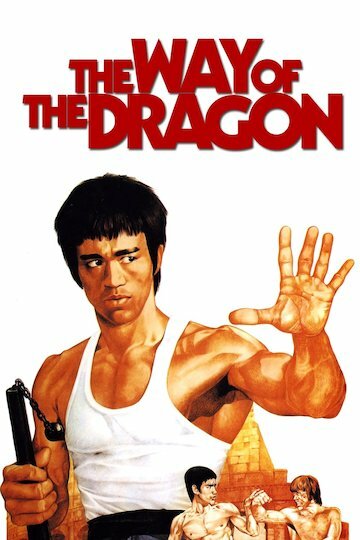 Return of the Dragon, also known as Way of the Dragon, is a martial arts movie starring the legendary Bruce Lee as a man from Hong Kong who travels to Rome to save a friend's troubled Chinese restaurant. The Mafia wants to purchase the restaurant and has been sending thugs to pressure the owner into selling. Lee's character, Tang Lung, confronts the thugs in a series of combat scenes culminating in the famous scene where he battles Chuck Norris. The movie also features a strong thread of comedy based in Lung's poor understanding of English and Italian.